Hi, I'm Kathy from Creative Home Expressions and I am delighted and honored to be here at Pamela's for How I Found My Style Sundays! I think my decorating style will continue to change over time, as it has done in the past. The thing that seems to remain consistent is that "Country" features in there somewhere. Back in the 80's and early 90's it was more of the Country look with the geese on wallpaper type look. In the 90's I went with more of an English Country look, loving all those oversized florals. In the 2000's I veered more toward the French Country look, especially after finding Betty Lou Phillips decorating books. I think any of these Country styles indicate to me that comfort is key and if I can get that with things that look pretty, too, I am happy with my home. 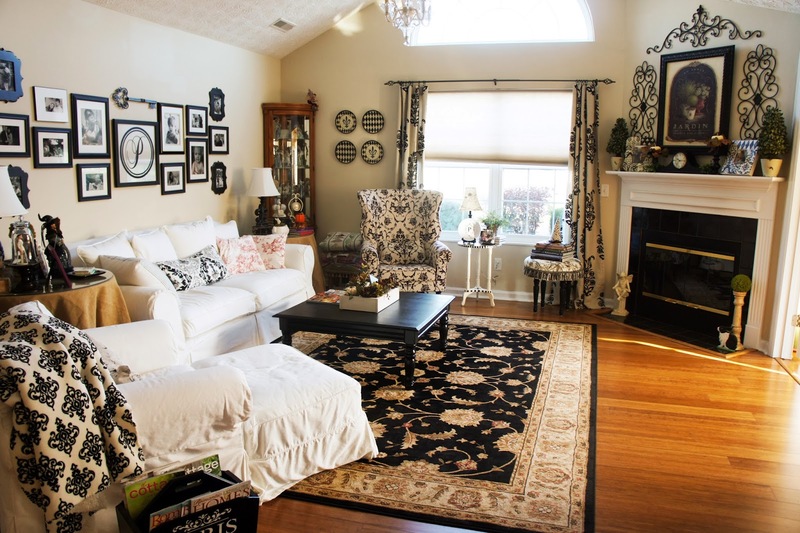 I mainly found my style from what I liked in magazines and decorating books. Or I should say discovered what my style was considered from those mediums. Before Pinterest I used to cut pictures of rooms from magazines and keep them in a 'Decorating Binder" for reference to try and recreate the look in my home. I don't have one particular piece in my home that stands out as a treasured find, although I do love the first roadside rescue dresser I found and made over. The size makes it a versatile piece that could fit in anywhere, which is even more important now that we live in a condo. My most treasured pieces are the family pictures that I incorporate into my decorating. Tips I would offer are to take one room at a time so that you don't stress over getting your whole home just right in one go. Take the time to find and use the things you love so that you are not spending money on things just to fill a space. Remake things you already have to save money, whether it is just moving them from one room to another, recovering them, or painting them to fit in better with your vision. 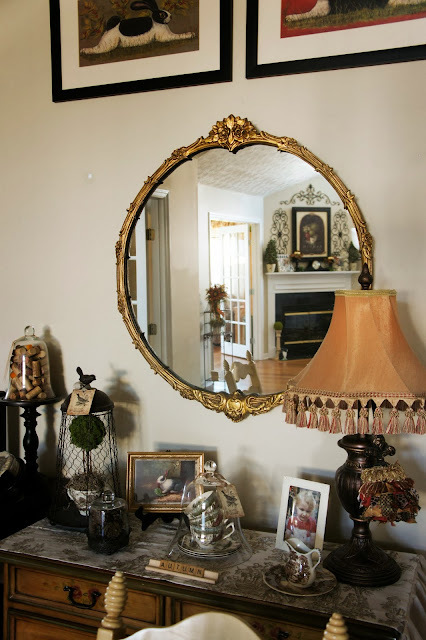 Utilizing thrift stores, antique malls, and yard/estate sales is a great way to find some interesting pieces and accessories for your home on a budget. Thanks so much, Pamela, for having me! Thank you Kathy for stopping by today! I have enjoyed watching you turn your newest house into a home. You always have the best projects. I too remember the days before Pinterest and having a binder. I still have it too. I have always loved Kathy's style. Thank you for featuring her today. Love your mirror! That's true! What did we do before Pinterest? I had stacks and stacks of torn out magazine pages. What's so interesting is that my style has not really changed that much. I went through it after I moved, and I was amazed by my consistency. 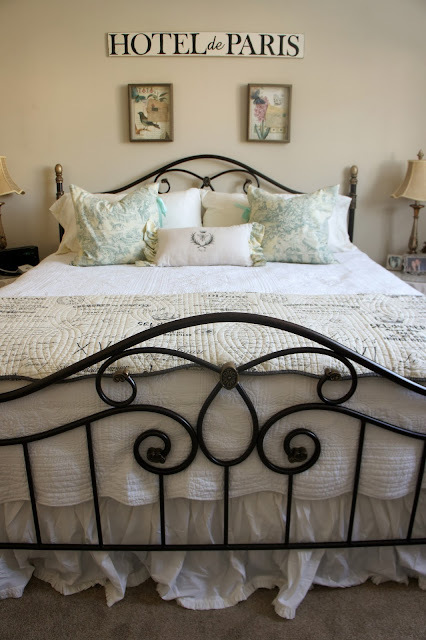 I have always loved Kathy's decorating style!! 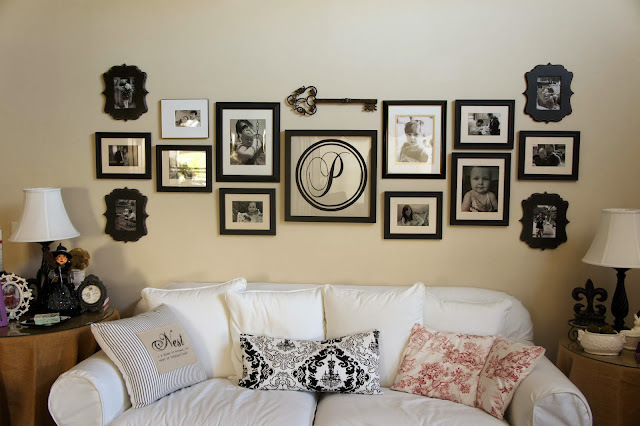 Love her framed egg prints...that whole area is one of my favorite spots!! Great feature Pamela! Pamela, I have always loved Kathy's's style! She is very talented! 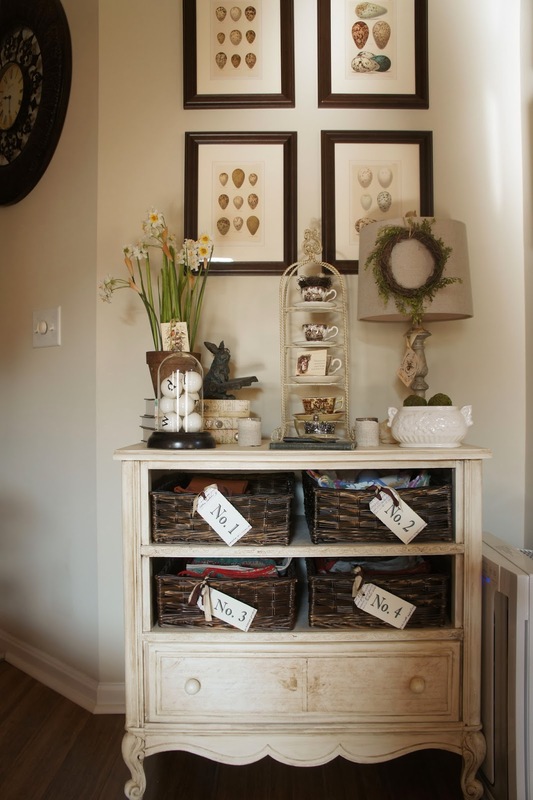 Her gallery wall has always been one of my favorites and I love her foyer chest! Thanks for featuring her today! kathy, your home is beautiful, and i esp. 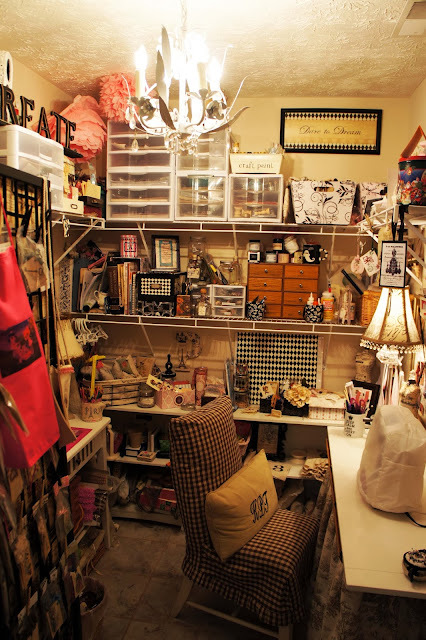 love your diy projects you share on your blog:) i totally agree with all of tips, too! tfs! I love Kathy's home! She has such a beautiful and elegant style. Plus she's so creative! Thanks so much for allowing me to be a part of this wonderful feature, Pamela! : ) Thank you for all the nice comments, too! Love this post Kathy. I can relate to how your style has evolved over time. Your home is gorgeous and I enjoy your projects shared on your blog and your creative talent. You are an inspiration. Kathy has a lovely condo! Great tips for creating a style that you love. 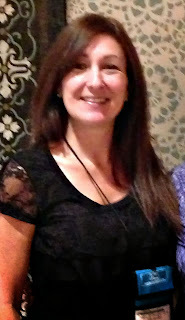 I have known Kathy in blog land for a little over a year and love her style. I love her attention to details. She is such a sweetheart too. Great choice to feature. Loved the piece you mentioned that you didn't have one like it but, than could change. :D You've inspired me, I love so much of what you posted and what you wrote about, 'one room at a time'. I needed that. We just moved in June. I found you in Pintrest and am now a follower. Great boards. I'm new to blogs and Pintrest, I'm blown away by the talent! 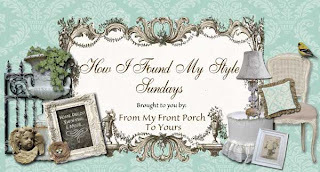 So great to see Kathy here today…I have always loved seeing her great projects of decorating and sewing…I had the pleasure of meeting her at Haven…A great person to feature today…Thanks Pamela…I so love these features! Love Kathy's style! She has the best ideas ever and I have not met a sweeter blogger!